We know the journey to parenthood is not always straightforward or easy and we’re here to help. Most people know that age, lifestyle and genetics impact fertility, but you may not know that there are things you can do to dramatically improve your fertile health AND have you feeling the best you’ve ever felt. Whether you have a diagnosed gynaecological disorder such as endometriosis, polycystic ovaries, low ovarian reserve, low hormonal response, High FSH, irregular and or painful periods, or poor sperm quality, or even if there is no known reason for having difficulty conceiving, we have the experience to confidently say – Our treatments will significantly improve your chances of falling pregnant and having a happy, healthy pregnancy. We are experienced working with natural fertility, pre-conception preparation, IVF, IUI, donor egg, donor sperm, surrogacy, couples and singles, and have a continually growing number of happy, healthy babies as evidence of our methods. Treatments ideally involve a combination of acupuncture, herbal medicine, nutritional supplements and dietary and lifestyle recommendations, all in a uniquely tailored plan to suit your body and your needs. Remember – The sooner you get started the better! If you are about to start or have already begun going through IVF, chances are you’ve been trying to conceive for some time and may be feeling a little anxious and tired. There are many ways we can support you through the upcoming cycle. Getting additional support for the wellbeing of your mind and body at this time will be invaluable for a positive outcome. To help you get started. All IVF patients have their first session (1 hour) for just $50! Simply mention this offer when booking. Settle any unpleasant side effects of hormonal medication such as headaches, bloating and insomnia. Ensure cellular messaging is functioning well (once the embryo is transferred it needs to grow and be received). Many other possible options depending on your health, history and symptoms. Acupuncture treatment for IVF is best started at least 3 months prior to commencing your IVF cycle. We understand that sometimes that isn’t possible so the best time to start is as soon as you can. Acupuncture on the day of transfer – if possible 2 sessions on one day – before and after the transfer. At WSW we specialise in all things pregnancy. Whether you have just found out you are pregnant or just about to give birth we have the tools, the expertise and the right touch to help you safely on your way. Traditional Chinese Medicine has been used for thousands of years to promote specialised care of women in pregnancy and postnatal recovery. Today this care is becoming more and more popular and in many countries (Denmark, England, France, Germany, Holland, Norway, Sweden and New Zealand), specially trained midwives now use acupuncture within maternity hospitals to assist their pregnant patients. Pregnancy, childbirth and postnatal recovery are viewed in Chinese medicine as a window of opportunity to enhance the woman’s wellbeing. The flip side of this is if the right care is not taken at these times, problems may arise that last long after the birth such as milk supply problems, ongoing fatigue, headaches, and hormonal problems. We recommend preventative care to strengthen mother and baby as well as dealing with problems as they occur during pregnancy. Is the busyness of life starting to feel overwhelming? Do you find yourself feeling it’s harder to wind down and easier to blow up? At WSW we know the key to reducing your stress and anxiety is to take a wholistic approach. We work with acupuncture, herbs and supplements, and use mindfulness teachings to keep your feet on the ground, your body breathing and to enable open and relaxed circulation throughout your body. In Chinese medicine we often talk about blockages and deficiencies. The goal of treatment is always to clear the blockages and strengthen the deficiencies. 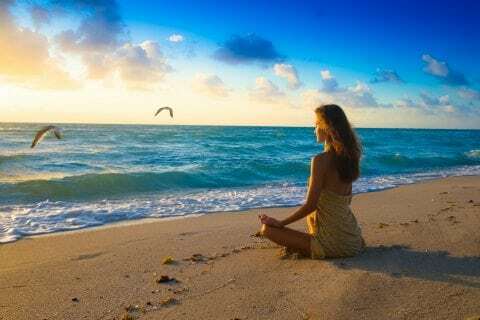 When we do this your body will start to settle, your breathing will naturally slow down, the tension building in your chest and shoulders as if you were holding your breath will start to relax and you will start to feel more like the happy and relaxed you you remember. Of course the causes of stress and anxiety may be out of your control, but your ability to cope is the part we focus on. As treatment progresses patients report that they have more patience, they aren’t yelling at their children, their core relationships feel closer, and day to day small stresses like getting stuck at every red light or running late for an appointment don’t trigger the intensity of negative emotion they used to. For many, regular acupuncture treatments become a staple part of living well and not only coping, but feeling great. There are also a variety of herbs and supplements we may prescribe as further support depending on the nature of your symptoms. Persistant low grade stress is the disease of the modern world. It puts a dampener on your enjoyment of life and is the first step to worsening mental and physical health. Stress has been linked to heart disease, irritable bowel syndrome, infertility, insomnia, cancer and more symptoms too numerous to list. Don’t ride the stress train forever, It’s time to get off at the West Street Wellbeing station! One of the most common complaints we see in clinic is problems with digestion. Perhaps it’s because of the modern lifestyle of stress, processed foods and eating habits, perhaps it’s due to antibiotic use destroying healthy gut flora? Perhaps it’s hormonal? There are many possible causes, but one thing is true for all, digestive symptoms can be annoying at best and debilitating at worst and you don’t have to continue to suffer. Get to the source of your problems. Whether you have a diagnosed digestive disorder such as Irritable Bowel Syndrome, Reflux (GORD), Diverticulitis, Low Stomach acid, High stomach acid, Helico Bactrum overgrowth, Parasitic infection, Chronic diarrhoea and/or Constipation, or you simply have some unpleasant symptoms such as bloating and flatulence, we can help. Do you have irregular cycles or heavy, painful periods? Do you suffer from hot flushes or night sweats? Are you tired or Gaining weight? Do you have adult acne or poor sleep? Do you feel more moody, sad or irritable? 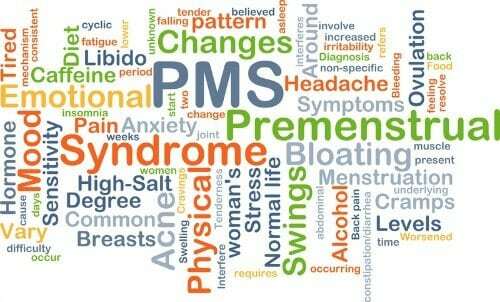 These are all signs your hormones are behaving strangely and need a helping hand to get back on track. Hormones are complex, as are you, and can take some time to work out. At West Street Wellbeing we take a wholistic approach so take the time to go through your full history including your diet, lifestyle, physical symptoms and emotional health to work out a treatment plan to suit you. Sometimes blood tests are needed to shed light on the bigger picture, in which case we can work with your GP to get the information we need for the most effective treatment. Treatments can be with acupuncture, naturopathy or both. At West Street Wellbeing we use acupuncture, moxibustion (heat therapy), massage, ART (Active Release Technique) and targeted stretching to relieve our patient’s muscular spasm, tension and pain. Our excellent results come in part through our expertise in physical therapy and a wide variety of techniques to choose from to suit the complaint and pain pattern, and in part through our wholistic approach. We not only assess and treat the area directly in pain, but we look at why that pain began and grew in the first place. In some cases it may be postural, in others fatigue, stress or something different. Whatever the contributing factor, it needs to be addressed for a full and lasting recovery. Whether it be tight neck and shoulders, muscle knots, lower back pain, sciatica, an injured shoulder, hip, knee, ankle or wrist, or whether the pain is mild or severe, treatment with acupuncture for the relief of pain is the most studied area of acupuncture treatment worldwide and has been repeatedly proven to work and we certainly know it to be true. Please contact us with any questions you may have or book online today. If only we could all superimpose the body shape of our dreams over our real bodies and keep it forever. Being the perfect weight and shape for our body type is a goal so many of us have and a reality so few of us achieve – why is that? A large part of the problem is the dietary advice we’ve been given for years, advice that is still being taught but which the newest and most recent science is now proving to be wrong. Central to this is the debate between a low sugar diet versus a low fat diet. Most of us grew up being taught low fat was the way to go and this terrible error in public health has resulted in an obesity epidemic. When the food pattern issue is combined with a chronic lack of appropriate exercise and movement it’s not hard to see why our bodies are suffering and getting fatter. IF you are reading this and want to lose excess fat and get healthy, you have our complete support. We know it’s not easy but with the right support you can do it and we have the knowledge and the skills to help you. We also work closely with patients in relation to movement and exercise coaching. We have options for you to do yourself or can refer you on to affiliated trainers to optimise your results if you want to. Starting today could change your life and be the most important thing you ever do.